Craving Mexican? Try posole. 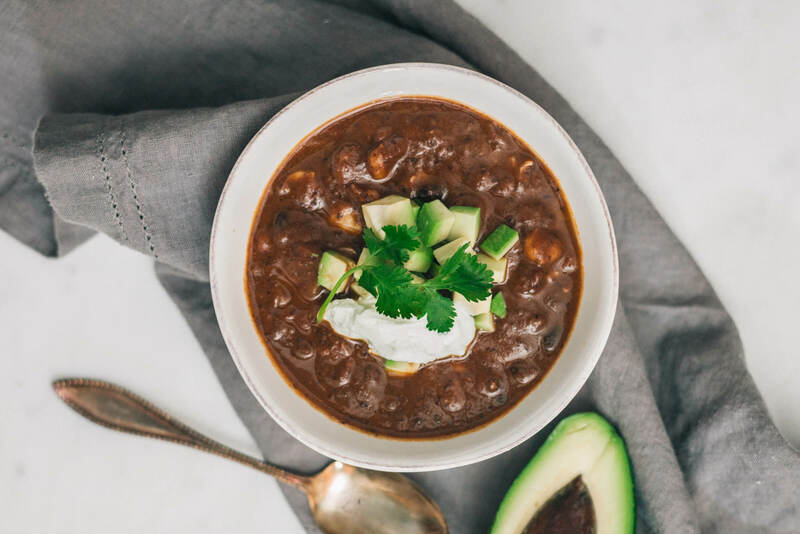 It’s a Mexican soup (more like a chili) based on beans and hominy. It’s one of our favorite things to make on a cold or cloudy day. We love Rancho Gordo’s Heirloom Bean cookbook. Everything we’ve ever made out of it has been delicious. One of the first things we ever tried was the chicken and posole recipe. It’s delicious made as directed, but we’ve also tried it with pork and with no meat at all. Hominy is dried corn that has gone through a process called nixtamalization. We don’t know what that is, but we do know that Rancho Gordo’s prepared hominy is our favorite. We like to have accoutrements with our posole including, but are not limited to: sliced avocado, Fage Greek yogurt, limes, chips or tortillas, grated cheese, and margaritas. Check out our favorite margarita recipe here. 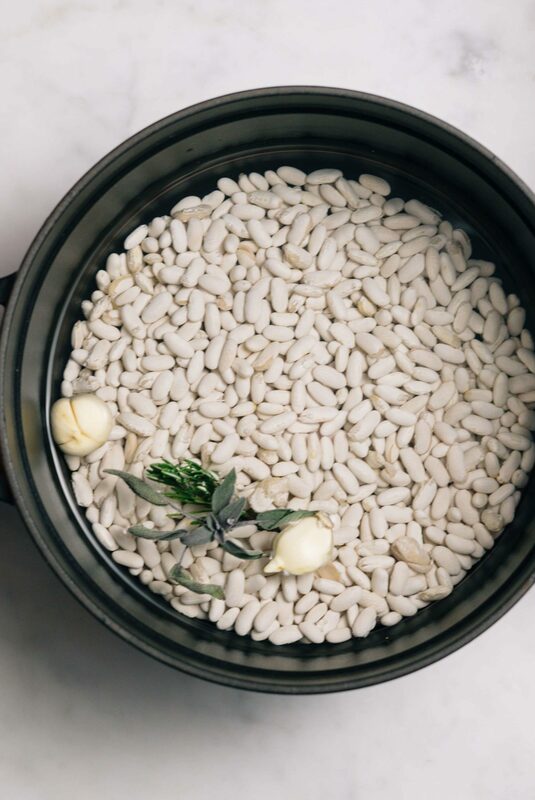 To cook the hominy and beans, we use a pressure cooker (see what we do here). It helps cook dried beans much more quickly. We use this that our friends George and Stacy got us. This, this, and this would also work well to cook beans. We prefer to cook dried heirloom beans because they have amazing flavor, are healthy, and are still toothy rather than mushy like canned beans. What beans do we like to use? We mix them. We’ve used Eye of the Goat, Black Nightfall beans, Black Valentine beans, and Rio Zape beans. 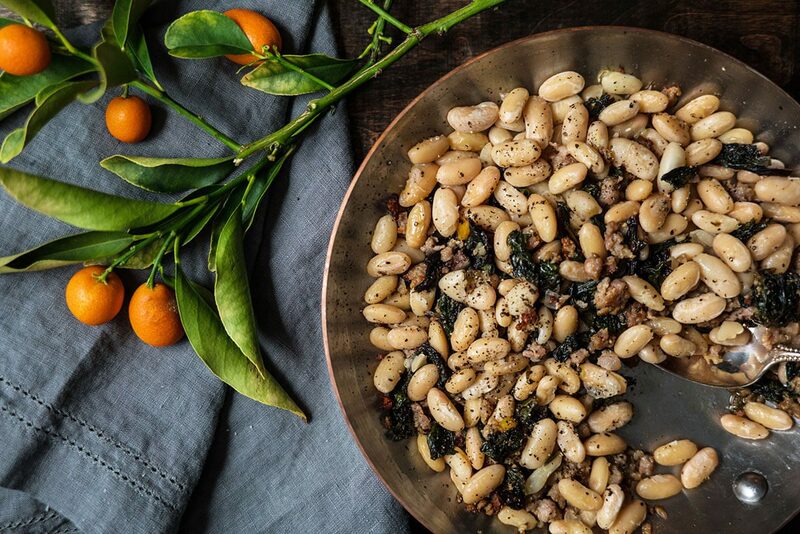 These beans are so good, they show up on menus at places like Nopa, The French Laundry, State Bird Provisions, and Per Se. When we lived in Chicago, we would stock up on Rancho Gordo beans on our trips to California and Sarah would fill the purses in her luggage with bags of beans to keep their shape. Now you can order online directly. In a large stock pot, add olive oil and sautée the garlic and onion. Add salt, pepper, and oregano. Add and sautée peppers. Once soft, add the tomatoes, stock, cooked beans, and posole. Bring to a boil and reduce heat to a simmer. Simmer 20-30 minutes. Season with salt and pepper to taste. Serve with avocado and yogurt or sour cream.